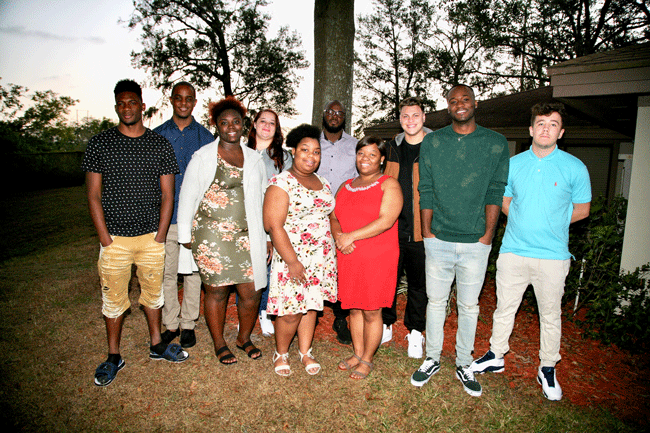 Young adults exiting foster care and those on the verge of homelessness have the opportunity to find success through The Faine House. At The Faine House, residents explore paths to stability through support and guidance with education, housing & transportation, employment, health & wellness, and personal finance. DONATE NOW to support the programs and services provided at The Faine House. Sign up for the Faine House 5k here. What is The Faine House? It’s a path toward success. A collaboration between NFL Veteran Jeff Faine and CHS, The Faine House provides a safe, encouraging trauma-informed environment for young adults ages 18-23. Young adults receive quality services to heal from past traumas as they pursue meaningful, productive futures. Part of the unique approach at The Faine House includes the nationally renowned Sanctuary Model – a trauma-informed set of commitments and tools that allow us to better understand and serve our residents. With this approach, our residents understand how our experiences influence their daily lives, which allows them to better care for themselves as they continue on their journey into adulthood. Interested in learning more or taking a tour? Contact us today.